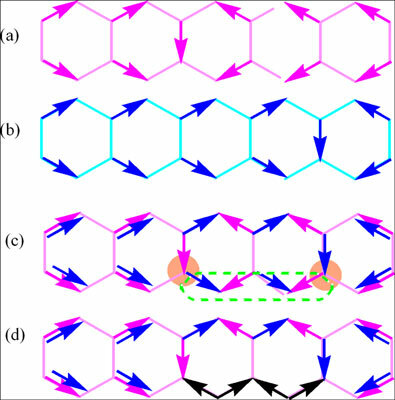 Linear polyacene hydrocarbons C4n+2H2n+2 consisting in the linear condensation of n aromatic hexagonal rings, have been used in prototypical studies of electronic delocalization, relevant for conduction effects. The results of density functional theory (DFT) calculations were interpreted by analytical simplified models, such as Huckel simple orbital schemes and the Heisenberg spin Hamiltonian, generating a Valence Bond phenomenology. The latter model shows how the manifold of excited states of the hydrocarbons assumes a band-like structure with increasing n. It is also shown that the “aromatic” resonance structures form a configuration interaction space in which electron mobility, expressed as the electronic polarization of the molecule, arises from a mixing of the ground and low lying excited states, responsive to an externally applied electric field. Keywords: Polyacenes, Aromaticity, Resonance, Effective Models, Spin Hamiltonian, Valence Bond, Density Functional Theory. Keywords:Polyacenes, Aromaticity, Resonance, Effective Models, Spin Hamiltonian, Valence Bond, Density Functional Theory. Abstract:Linear polyacene hydrocarbons C4n+2H2n+2 consisting in the linear condensation of n aromatic hexagonal rings, have been used in prototypical studies of electronic delocalization, relevant for conduction effects. The results of density functional theory (DFT) calculations were interpreted by analytical simplified models, such as Huckel simple orbital schemes and the Heisenberg spin Hamiltonian, generating a Valence Bond phenomenology. The latter model shows how the manifold of excited states of the hydrocarbons assumes a band-like structure with increasing n. It is also shown that the “aromatic” resonance structures form a configuration interaction space in which electron mobility, expressed as the electronic polarization of the molecule, arises from a mixing of the ground and low lying excited states, responsive to an externally applied electric field.